Choose your date of visit ahead and save time by skipping the queues to directly enter the park! A very nice trip to Disneysea and enjoyed the water show. Go early if you want a better seat in the bus as the bus walking isle will be transformed into temporary seats. 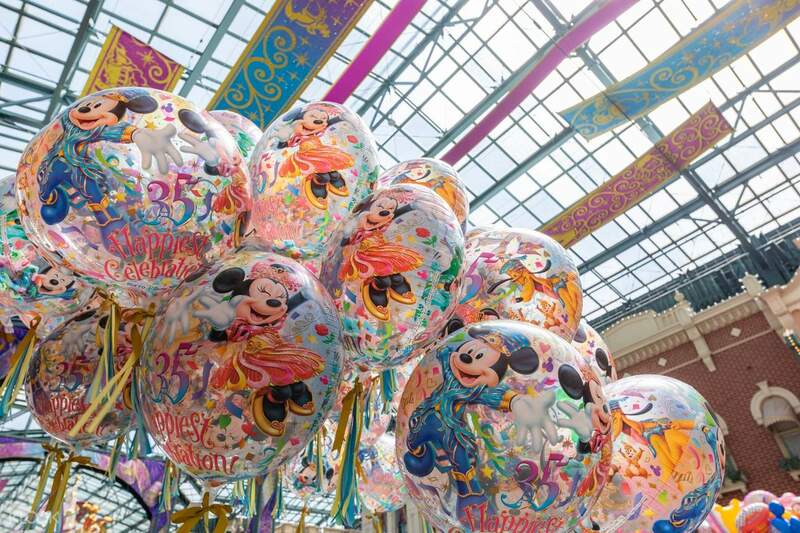 Embrace the wonder and fantasy of Tokyo Disneyland and DisneySea - without the lines, plus convenient transfers to the theme park of your choice! 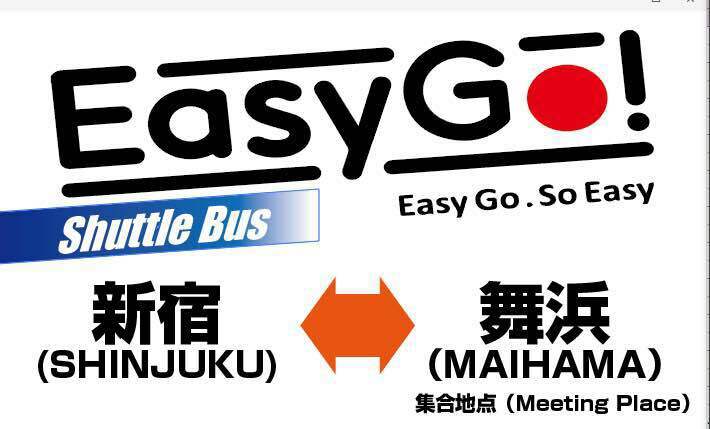 Choose between three convenient meet up locations within Shinjuku, present your voucher to receive your 1 Day Pass, and board your bus that will whisk you away to the happiest place on earth. As soon as you arrive, just walk straight in, avoiding the long queues at the ticket counters! 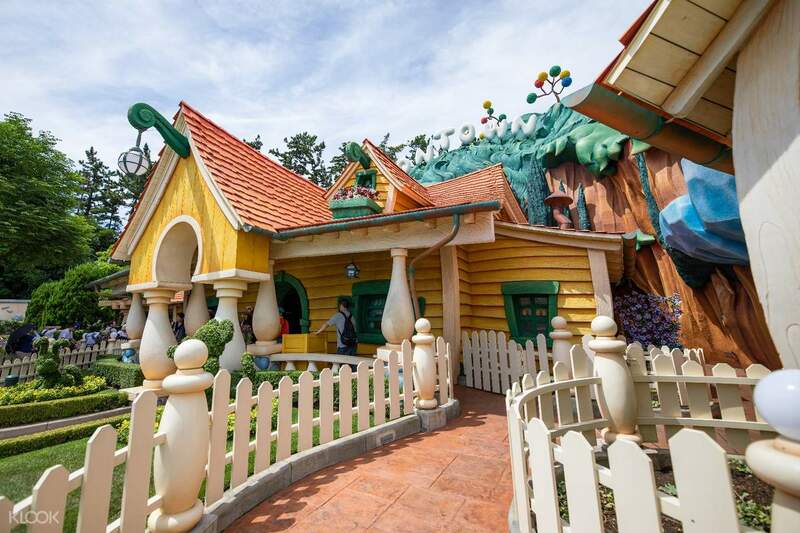 The vibrant atmosphere and thrilling attractions instantly engulf you with joy the second you walk through the entrance. 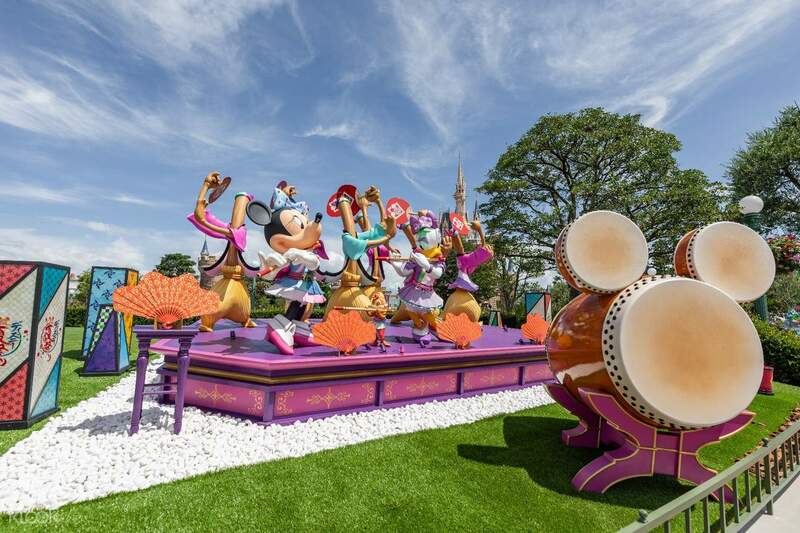 These two theme parks offer a plethora of entertainment with an interesting Japanese twist. Meet classic characters and experience well-known attractions at Disneyland or dive below the waves for the unique Disneysea adventure with all your favorite underwater Disney characters. The world-renowned theme parks present magical lands to explore and plenty of restaurants for all of you foodies. A full day is needed to get a worthwhile Disney experience, so make sure to start early! Meet Chip and Dale, Mickey, Minnie, Super Goof, and more in Toontown! The most worth it package i’ve ever bought from Klook. I’m taking bus from Washington Shinjuku hotel to Disneyland. It’s hassle free. But i went back by myself because i’d want to spend the whole day in Disneyland till 10pm. To those who wants to get back by bus you need to leave by 7pm. But those who wants to leave later you can do so by taking train in which by 700m away from the train station. Make sure you ride PeterPan adventure and BuzzLightyear! It is so fun. The queue was long but it was fast. And not to forget please please experience what is inside the disney palace! It’s Cinderella mansion! Hope all of you will have so much fun in Disneyland. A place where all dreams come true!! The most worth it package i’ve ever bought from Klook. I’m taking bus from Washington Shinjuku hotel to Disneyland. It’s hassle free. But i went back by myself because i’d want to spend the whole day in Disneyland till 10pm. To those who wants to get back by bus you need to leave by 7pm. But those who wants to leave later you can do so by taking train in which by 700m away from the train station. Make sure you ride PeterPan adventure and BuzzLightyear! It is so fun. The queue was long but it was fast. And not to forget please please experience what is inside the disney palace! It’s Cinderella mansion! Hope all of you will have so much fun in Disneyland. A place where all dreams come true!! my first time going to Disney . booking a bus n tickets at klook are convenient n cheaper. which I don't need to squeeze in e peck hour train n reached before it open . pick up n drop off at e nearby station. it worth to purchase e package in klook . I able to spend more time n don't worry of taking wrong train n squeeze in e train at e peck hours. my first time going to Disney . booking a bus n tickets at klook are convenient n cheaper. which I don't need to squeeze in e peck hour train n reached before it open . pick up n drop off at e nearby station. it worth to purchase e package in klook . I able to spend more time n don't worry of taking wrong train n squeeze in e train at e peck hours. 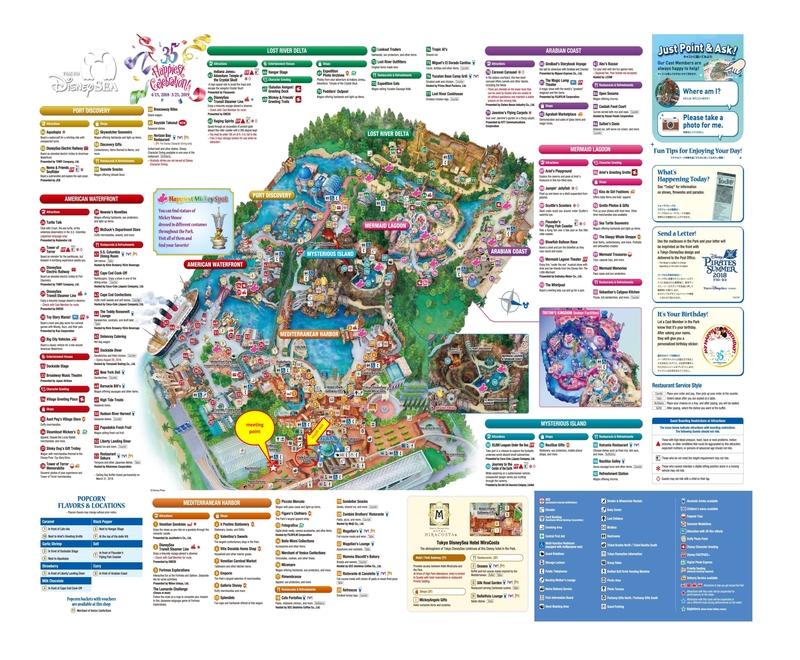 Tokyo DisneySea is the large park has seven themed ports of call with rides, shows and dining. People love their popcorn, mochi with ice cream, steamed buns, turkey legs, etc. We spent one full day at Tokyo DisneySea there was so much to see and to do. The best Disney Park in the world and I had to visit. 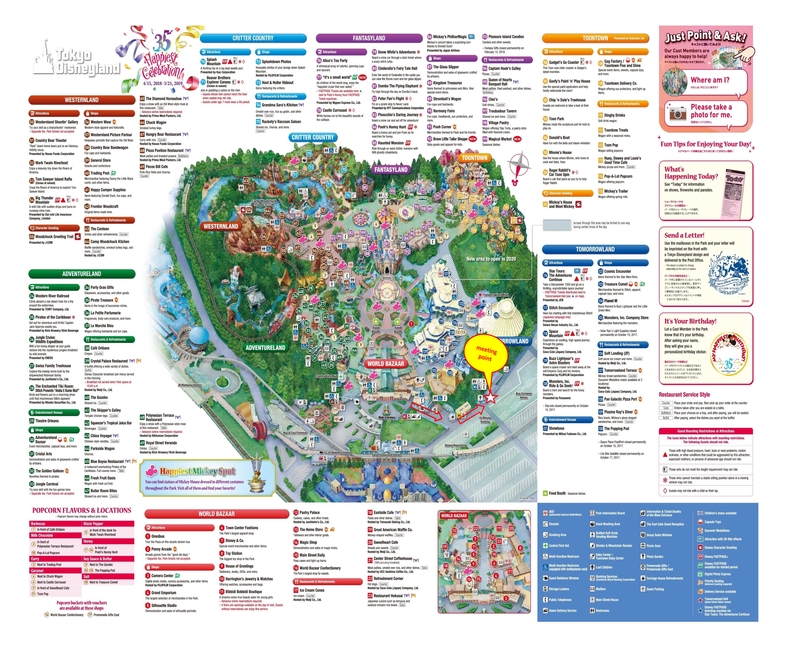 Tokyo DisneySea is the large park has seven themed ports of call with rides, shows and dining. People love their popcorn, mochi with ice cream, steamed buns, turkey legs, etc. We spent one full day at Tokyo DisneySea there was so much to see and to do. The best Disney Park in the world and I had to visit. The meeting place is not hard to locate. We managed to catch our sleep on our way to DisneySea. Our tickets were provided before we get on the bus. We reached the location at around 0830hrs just in time for the opening of the resort. I’ve been to Tokyo Disneyland before. DisneySea is very different and one of a kind. One of the happiest day in our trip definitely. Make sure to get straight to Fast Pass! The meeting place is not hard to locate. We managed to catch our sleep on our way to DisneySea. Our tickets were provided before we get on the bus. We reached the location at around 0830hrs just in time for the opening of the resort. I’ve been to Tokyo Disneyland before. DisneySea is very different and one of a kind. One of the happiest day in our trip definitely. Make sure to get straight to Fast Pass! super fun! this pass is very convenient and you would definitely need this if you want to save time. plan your visit very carefully. try A journey at the center of the earth first before anything else as the queue there is very long that it would take you 2 hours in standby queue. super fun! this pass is very convenient and you would definitely need this if you want to save time. plan your visit very carefully. try A journey at the center of the earth first before anything else as the queue there is very long that it would take you 2 hours in standby queue. Went to the meet up place and the staff of klook were already there handing out disneyland tickets. Its a good thing they were early. Perhaps the only room for improvement is the arrival time in disneyland since we arrive at 9am which is the exact time of the opening of disneyland and theres already a long line of people by then. Hope to be there by 8:45 or 8:30. Went to the meet up place and the staff of klook were already there handing out disneyland tickets. Its a good thing they were early. Perhaps the only room for improvement is the arrival time in disneyland since we arrive at 9am which is the exact time of the opening of disneyland and theres already a long line of people by then. Hope to be there by 8:45 or 8:30. Magical Experience. The bus was on time from Shinjuku Prince Hotel and the bus was filled up and they allowed you to bring luggage with you ( We were taking the midnight plane back home). Arrived to Disneysea by 8.40 and was able to fit two small luggage’s in the lockers. The rides were fun and it really led you to think that you were somewhere else and not in Japan. The environment is engrossing and staff were super friendly and polite! Maybe that’s just the culture in Japan. Fantasmic show was really good and would definitely go again. Magical Experience. The bus was on time from Shinjuku Prince Hotel and the bus was filled up and they allowed you to bring luggage with you ( We were taking the midnight plane back home). Arrived to Disneysea by 8.40 and was able to fit two small luggage’s in the lockers. The rides were fun and it really led you to think that you were somewhere else and not in Japan. The environment is engrossing and staff were super friendly and polite! Maybe that’s just the culture in Japan. Fantasmic show was really good and would definitely go again. Everything was so organized and on time..pick up point can be easily located. Bus ride was very comfortable. Guide will assist you on the pick up point and provide you the ticket access right away prior the departure. Time allotted is just enough to enjoy the rides.. dont forget to use fast pass so you can minimize waiting time for the rides. 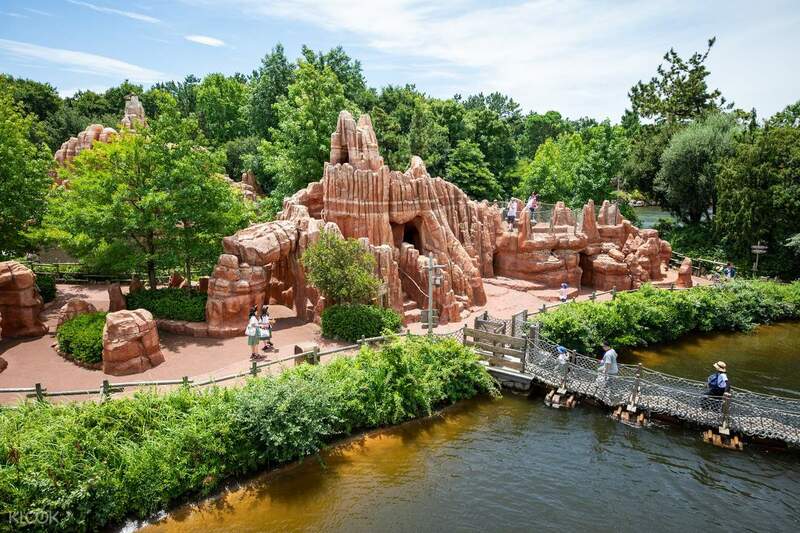 Downloading disney app can help ease your planning during the day on which ride to take first based on waiting time. :) we’ll definitely use klook again for my future trips.. Everything was so organized and on time..pick up point can be easily located. Bus ride was very comfortable. Guide will assist you on the pick up point and provide you the ticket access right away prior the departure. Time allotted is just enough to enjoy the rides.. dont forget to use fast pass so you can minimize waiting time for the rides. Downloading disney app can help ease your planning during the day on which ride to take first based on waiting time. :) we’ll definitely use klook again for my future trips.. It was very good experience especially for my daugther because we went there exactly her bday. Little bit difficult to find the meet up points but luckily we found it before the bus left. It’s too crowded because of the locals but it’s ok because they are very polite. It was very good experience especially for my daugther because we went there exactly her bday. Little bit difficult to find the meet up points but luckily we found it before the bus left. It’s too crowded because of the locals but it’s ok because they are very polite. our meeting place was at shinjuku washington hotel.please go inside shinjuku washington hotel, wait inside at the entrance of family mart. after getting our disney tickets, we were on a bus going to Tokyo Disney Land and Disney Sea. A whole new world! we really enjoyed tokyo disney sea. the cute rides, the food you can find in the park. Thank you klook! our meeting place was at shinjuku washington hotel.please go inside shinjuku washington hotel, wait inside at the entrance of family mart. after getting our disney tickets, we were on a bus going to Tokyo Disney Land and Disney Sea. A whole new world! we really enjoyed tokyo disney sea. the cute rides, the food you can find in the park. Thank you klook!